The aliens have landed. Lock 'em up. It looks “alien,” but it’s the ultimate in box-security fasteners. In fact, the Alien Lock from Micro Plastics is the first and only dedicated box fastener. It is a much less expensive solution than banding or taping your boxes, and it keeps them more secure, too. It’s easy and fast to insert, and it’s incredibly strong. It cannot be pulled out without it being obvious that the box was tampered with -- it must be cut off. This is a 1-step fastener: Push Alien Lock through the lock port, and the locking process is finished. Have a photonics problem you can't solve? He’s Alive! How did Dr. Frankenstein do it? Creating life is no easy task, even for Dr. Frankenstein. Before the lifeless amalgamation of human parts can be animated, they must be securely fastened together. Adequate torque must be applied to the Monster’s neck bolts, lest it goes the way of the headless horseman. FUTEK’s TRS series rotary torque sensor and LTH series donut load cell are combined to verify the applied torque and bolt loading is sufficient to securely fasten the Monster’s head. Check out the entire application! The U.S. Navy has commissioned for service the USS Zumwalt, its largest and most advanced stealth destroyer. The 610-ft-long electric “multi-mission” ship can hit a target at a range of more than 60 miles, has a wave-piercing tumblehome design, and features a unique superstructure that makes it less visible to enemy radar. Scientists at the University of Stuttgart in Germany have developed two new process variants that aim to expand the areas of application for friction stir welding considerably. Thanks to these procedural variants, it is possible, for the first time, to use friction stir welding to join steel and aluminum sheets of different thicknesses economically while ensuring high-strength joints. 3D printing has progressed over the last decade to include multi-material fabrication, but it still has been difficult for non-programmers to create objects made of many materials (or mixtures of materials) without a more user-friendly interface. A team from MIT's Computer Science and Artificial Intelligence Laboratory recently unveiled “Foundry,” a system for custom-designing a variety of 3D-printed objects with multiple materials. Naval Air Systems Command (NAVAIR) at the Naval Air Station in Patuxent River, MD, marked its first successful flight demonstration July 29 of a flight-critical aircraft component built using additive manufacturing (AM) techniques. An MV-22B Osprey completed a test flight outfitted with a titanium, 3D-printed link and fitting assembly for the engine nacelle. Get your 2017 Proto Labs calendar today. Looking to cut your overall manufacturing time by 25, 50, or even 70 percent? NIST is working on it. Researchers at the National Institute of Standards and Technology have launched the Smart Manufacturing Systems (SMS) Test Bed, an innovative model factory that aims to facilitate the advanced manufacturing technology known as the "digital thread" and helps manufacturers cut costs, shorten production time, reduce errors, and provide higher quality goods. The goal is one model that contains all information to carry it through design, smart manufacturing, and inspection. 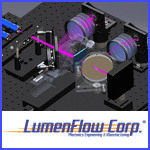 At LumenFlow, we make light do what you want it to. Our team of exceptionally creative engineers and technicians works from our "skunkworks"-like environment, providing 125 years of combined experience on multiple simulation platforms for optics and lighting. Check out our experience in infrared and visible light lenses, component lens elements, laser modules, alignment fixtures, special illumination projects, 360-degree imaging, and more. From optical modeling, design and engineering, and prototype development to assembly, manufacturing, testing, and product qualification, we can handle your most pressing photonics challenges. SEPAC designed the Stationary Field Tooth Clutch (SFTC Series) to deliver an exceptional torque-to-size ratio with the ability to operate dry or in oil. 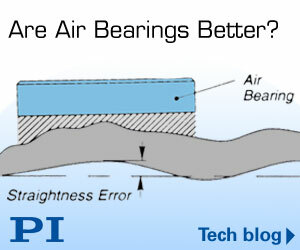 This model offers a bearing-supported design to ease the installation process. 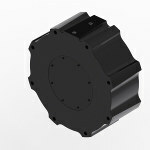 The SFTC’s positive engagement, less than 1 degree of backlash, high torque-to-size ratio, and ease of installation make it a top choice for aerospace and defense actuators, aircraft flight control, military ground systems, weapon systems, elevator/azimuth, robotics, medical equipment/imaging, and more. Tech-Etch combines photochemical etching with precision metal bending to create extremely small formed features in thin metal parts. A staff of talented and creative tool and die makers utilizes state-of-the-art techniques to manufacture tools capable of forming features down to .003 in. in a wide variety of metals. Parts range in thickness from .0005 in. and up. 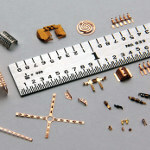 Photo etching produces burr-free parts with intricate and complex shapes. Prototypes can be delivered in five days. Laminating, plating, heat treating, and assembly are available in-house. The Model I-300 from Nexen Group is a spring-engaged, air-released, power-off brake designed to provide high torque for backlash-free holding and emergency stopping on indexers and positioning systems. The I-300’s high torque and short response time ensure the shortest possible stopping distance. 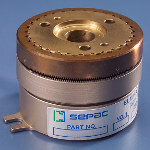 The brake connects to the shaft with tapered, keyless locking devices. It is normally engaged until air pressure is applied to release it. Nexen’s patented braking element locks and holds the shaft in position without any displacement upon engagement or reversing of the load. Engineers at Picatinny Arsenal in New Jersey are developing technology for non-lethal crowd control. The Solid State Active Denial Technology (SS-ADT) is a directed-energy weapon that uses radio frequency (RF) millimeter waves at 95 GHz traveling at the speed of light to create a brief, intolerable heating sensation on a person's skin at tactically useful ranges. The Pacific Northwest National Laboratory’s semi-automated Advanced Battery Facility enables scientists to test all kinds of different materials -- including lithium-metal, sulfur, sodium, and magnesium -- to make batteries last longer and store more energy. The tests are helping scientists from national labs, universities, and industry find lower-cost replacements for today’s most common rechargeable battery, the lithium-ion battery. You may be surprised at how they're made. As a project partner for the latest Panama Canal improvements, Bosch Rexroth manufactured, delivered, and installed a total of 152 customized hydraulic power units and drive cylinders, and the redundant PLC control system for the various lock chambers. This solution ensures continuous availability and efficiency, decreasing freshwater consumption nearly 60 percent per lock.